Is it Time to Abandon Your Birth Name? 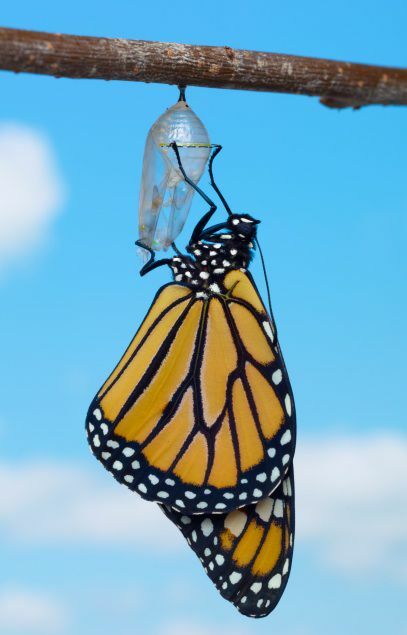 If you are considering adopting a new name for yourself and are not yet sure the timing is right, consider this: The "Caterpillar" calls itself "Butterfly" after it has broken free of its cocoon and is ready to spread its wings. It is not uncommon for seekers or spiritual-oriented individuals to take on new names that better fit their spiritual path. Spiritual name change stories tend to be unique. Sometimes the birth name is abandoned altogether and replaced with a new moniker. A person might even go as far as legally changing their name. Other times, a nickname or second name is attached to a person's birth name (e.g. Sally Rae Brown might decide to call herself Sally "Rainbow" Brown). Her new friends likely call her Rainbow, but she is okay with relatives continuing to call her Sally. A name change can help individuals better identify with who they are or serve as a milestone to honor how far they've come. Adopting a new name can also be the jump-start needed to taking that first step toward leaving your old behaviors behind you and beginning a new trek. I have met many people in the healing and spiritual community that go by different names than their birth names. Two examples are Whitehorse Woman, and Jim "Pathfinder" Ewing. I also connected to Meryl Davids Landau's spiritual novel Downward Dog, Upward Fog. In the story the main character's sister had changed her birth name Anne to Angelica. This hit close to home for me because "Ann" is the middle name printed on my original birth certificate. In 1995 I changed my middle name from Ann to lila (spelled completely in lowercase). The name was a gift to me by my oldest son shortly before he undertook a semester of pottery making in India when he was a college student. He thought lila would be a fitting name for me because of my seeker-personality. However, lila is not typically used as a name in India. I was told the word lila means "to play" or "to live out your dharma" in the Hindi language. I sometimes introduce myself as lila, using it as my first name. But, I also go by Phyl, or Phylameana. It just depends on my mood. If you don't like your name or if you feel a different name would suit you better you have every right to change your name to one of your liking. People change their names for a variety of different reasons. I petitioned the courts and legalized my name change. But, there is a common usage law that allows a person to adopt a new name without going though legal means (laws vary from state to state). Focus Friday - This post is part of a once-weekly feature focusing on a singular healing topic. If you would like to get notifications delivered to your inbox each Friday alerting you to the Focus Friday topic please subscribe to my newsletter. In addition to the Friday delivery subscribers also receive my standard newsletter sent on Tuesday mornings. The Tuesday edition highlights new articles, newest blog posts, and includes links to a variety of healing topics.